For more and more individuals, the days of working in an office cubicle under humming fluorescent lights are drawing to a close. In some cases, employers are saving money by downsizing office space and attracting a strong workforce by offering work at home opportunities. In other cases, individuals are making the choice to strike out on their own with freelance careers. If you’re reading this article, you most likely aren’t asking why you should work at home but how you can work at home. The responsibilities assigned to a virtual assistant can vary widely. They can encompass everything from copywriting to bookkeeping and everything in between. Before you can become a virtual assistant you’ll need to define what tasks and responsibilities you are willing and able to take on. To do this, consider your strengths, education, and experience. If you are organized, detail-oriented, self-motivated and possess basic computer skills, you have the foundation to become a successful virtual assistant. The ability to self-motivate is one of the most important “skills” a virtual assistant can have. It is imperative. When working at home there are a slew of distractions that you will have to contend with. For example, your television, your children, Facebook, friends asking you to lunch because they don't think you have a “real” job … the list goes on and on. If you are not able to carve out time for yourself, focus, and get things done, you will not succeed in this endeavor. Once you have cataloged your skills, you will need to decide how you would like to work. In other words, would you like to work full time or part-time? Would you like to have one client or many clients? Would you like to be an employee or a contractor with your own business? Yep, it is a lot of questions to answer, and there is no one right answer to any of them. Each option has its own set of pros and cons. Some will require legwork before you can get started. For example, if you’d like to start your own business you will probably need a website whereas if you want to work full time for one client this will be unnecessary. 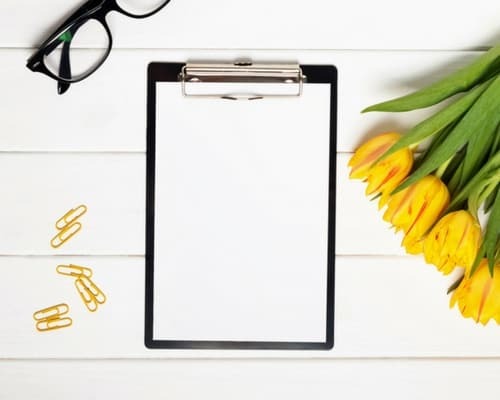 Now that you know what you want to do as a virtual assistant and how you want to work as a virtual assistant, it is (finally) time to find a virtual assistant position! Here are some options for your hunt; keep in mind that some of these options may not be applicable based on your answers to the questions above. FlexJobs – all listings legit! Career Builder – while this site doesn’t have a field specifically for virtual jobs (yet), use keywords like “work at home” and “virtual” to refine your search. Craigslist – beware of scams! Follow your favorite companies, blogs, etc. on social media platforms like Facebook, Twitter, and LinkedIn to be the first to know about new job opportunities. In addition, join Facebook and LinkedIn groups geared towards virtual assistant opportunities. It pays to be creative here, you should also join groups geared towards the skills you possess. For example, are you handy in the kitchen? If so, join a Facebook group where you can offer your services such as whipping up recipes with pictures to sell to bloggers. Develop your own website to advertise your services. Use a blog to demonstrate skills and draw people to your site. You can also create your own social media presence. Have a blogger or company you’d really like to work for? Ask! Call them up, shoot them an email, or reach out on social media. When reaching out, try your best to sound sincere, not spammy. Let your passion for the company, blog, etc. shine through. Talk about your skills and how they may be able to benefit the organization. Connect with others online and off. Online, contribute to VA communities and groups. Answer questions. Build a presence. Offline, attend local professional organizations and perhaps join your local chamber of commerce. The more people you meet and make a positive impression on the better. The site meetup.com is a great place to find groups in your area. The good news for you is that the need for virtual assistants is growing. If you are willing to put yourself out there and work hard, you can break into this industry and be successful. 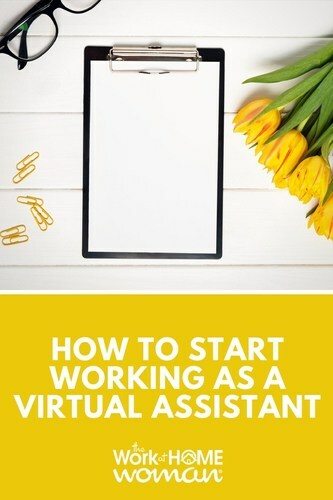 Finding the right opportunity may require some patience and creativity but hopefully this article has provided you the foundation you need to become a virtual assistant. Studies have shown if you like this blog post — you will also love the following articles. I handpicked them just for you! Kelli Bhattacharjee, the owner of FreebieFindingMom.com, is a former investment professional with nearly ten years of experience. After graduating the top of her class in finance, she decided to pursue her passion of empowering others to better manage their money via her savvy financial blog. Discover how to live a frugal yet fabulous life, follow Freebie Finding Mom on Pinterest, Facebook, Google+, Twitter, and YouTube. This page includes affiliate links. Please be aware that we only promote advertising from companies we feel we can legitimately recommend to our readers. Please see our disclosure policy for further information.